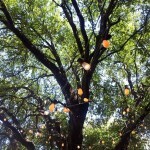 Thanks to a cool front last weekend, we enjoyed a lovely lunch on the pretty patio at Patrizio. 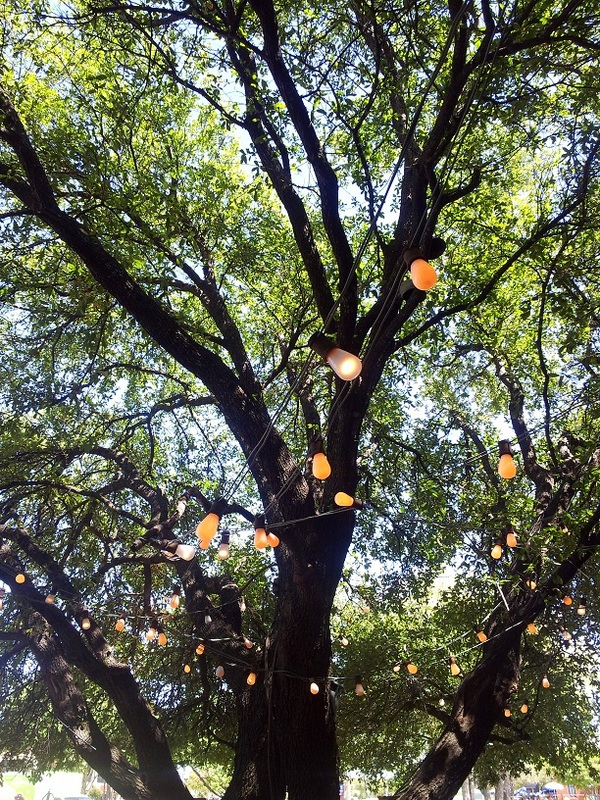 Fall is on its way and we are so happy to be able to spend time outside, after being cooped up in the (blessed, beautiful) air conditioning all summer. 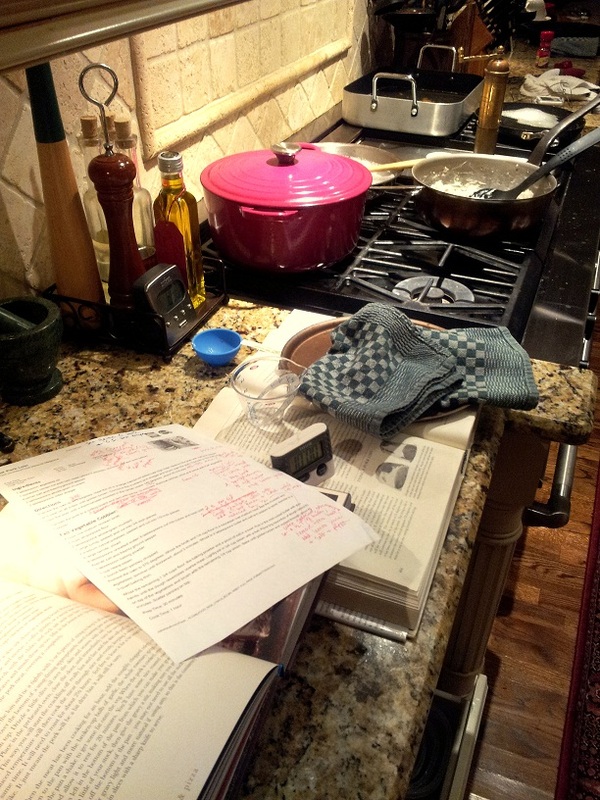 This is what half of the kitchen often looks like when I cook, especially when it’s a new and complicated (for me) recipe. Not pictured — the sink/island half of the kitchen, covered with mixing bowls, cutting boards and just about all our kitchen utensils. 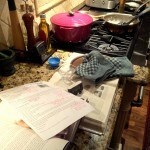 While the actual cooking (and dishes!) 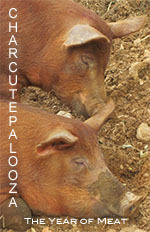 part is not my favorite, the sense of accomplishment when the meal turns out to be delicious makes it all worthwhile. 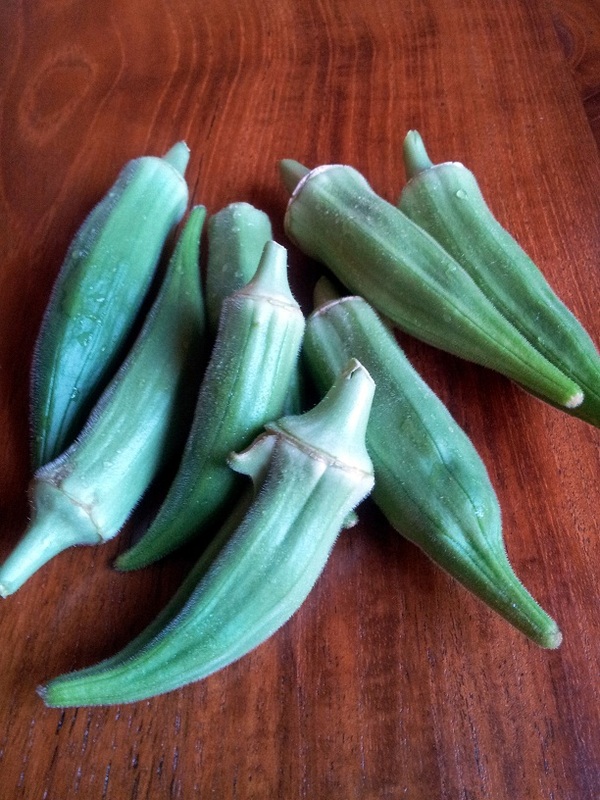 Speaking of accomplishments, for the first time all summer, we finally had enough okra ready to harvest from our garden at around the same time, such that we could use it in a side dish, without having to supplement with store-bought okra. 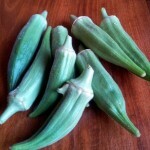 Perhaps next year we should plant more than 3 okra plants . . .
Dan had a quick overnight business trip this week and forgot to bring his iPad (the horror!) 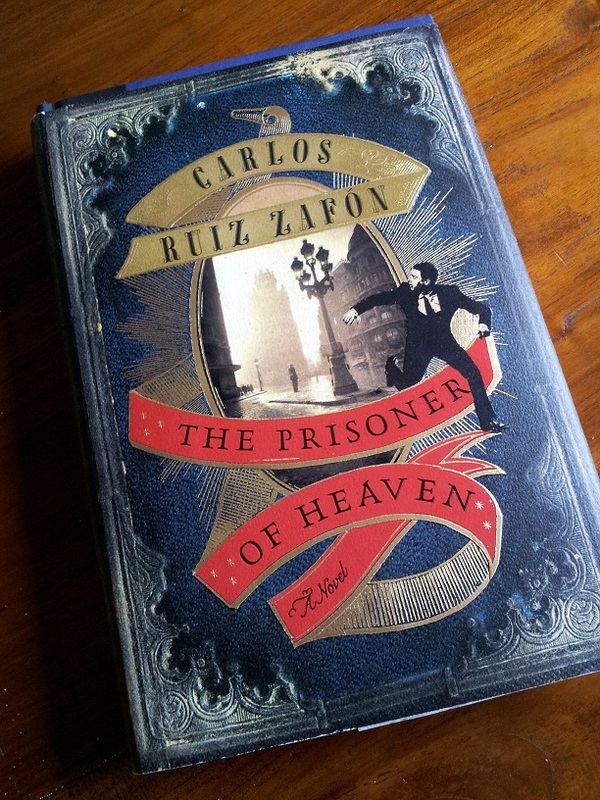 He stopped in the bookstore at the airport for something to read on the plane, and was delighted to find the latest work by Spanish novelist, Carlos Ruiz Zafon. Turns out that it’s a sequel to one of Dan’s all-time favorite books, The Shadow of the Wind. 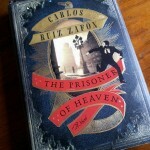 He loved the sequel and finished it on the plane ride home — within 24 hours of having bought it. Forgetting his iPad turned out to be a happy accident after all.